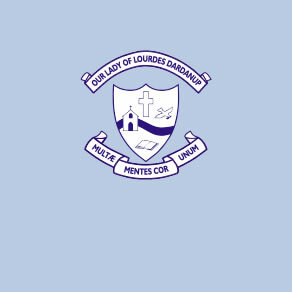 Our school today proudly incorporates the Thomas Little hall, the original Catholic Church which carried the title “Our Lady of the Immaculate Conception” and which had its beginning with the laying of the foundation stone on March 25, 1854. A School was soon opened on September 15, 1857 at the expense of Mr. Little and held its first examinations at the end of 1857. The first School Master was a Mr. Clancey and later Miss Ellen Costello. It was Father Finnegan, a zealous and single-minded priest who decided that there was a need for a Catholic School in the place. So on Tuesday April 6, 1920, Prinsep Park house was leased from Mr. Venn as a temporary School and residence for the Sisters of Mercy pending the erection of a Convent and School on the site chosen on the mission land in the township. By 1949, so great were the number of Catholics at the School and so small the accumulation, that the parishioners were asked once more to face the burden of a new school, an undertaking which they readily and willingly accepted. Following busy bees, the foundation stone of the School was laid on July 9th 1949. His Grace, Archbishop Prendiville blessed and opened two classrooms - the cost being 1400 pounds. Numbers dropped when boys transferred to the new Marist Brothers College (later Bunbury Catholic College) in 1952. The Sisters offered music and Religious Education to children of the broader region. In 1974, a Lay teacher was introduced to the school and in 1975 the school had a Lay Principal. By this time, Year 7 classes were moved into Bunbury. In 1976, when the Board heard that the Carmelite Sisters were coming to the Convent, they built a staff and storeroom onto the School. In 1979, after a lot of hard work by parents, Monsignor Giles and the then Principal, Miss C. Kutil, along with a reciprocal grant from the government, the renovation on Thomas Little Hall were completed. A dedication Ceremony and luncheon were held to mark the occasion. 1992 has seen the removal of the end classroom, built in 1952, to once more expose the Thomas Little Hall, with its historical uniqueness to the wider Dardanup community. The two original classrooms have been converted to a Library and Administration centre whilst three new classrooms now stand to the east on the adjoining Location. They consist of a Pre-primary/Year 1-2 Room and Middle and Upper Primary Rooms. Pre-primary was introduced for the first time in 1992 and a highly successful Rural Integrated Programme has been adopted. 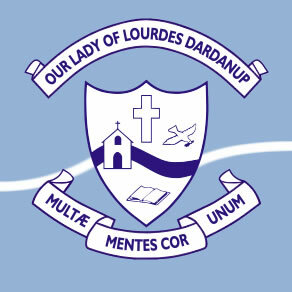 2009 saw the completion of Stage 7 of the building plans, which took Our Lady of Lourdes to a full single stream capacity.